With the new year quickly approaching, many of you may have already started working on your New Year’s resolutions. For those of you who haven’t, there is no need to worry. You can start with an easy resolution such as “try a new fish recipe.” Did you know that the FDA recommends 2-3 servings of lower-mercury fish per week? To help with this resolution, we have gathered some tasty fish recipes that you may not have tried before. Go ahead and dive in, you might be surprised to see what you find! Our Haddock Veracruz and Mango salad recipe is a great start to this list. 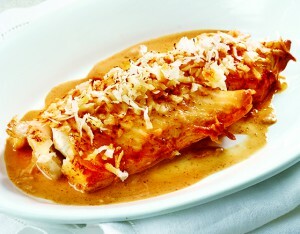 The combination of garlic, tomatoes and white wine pairs well with the firm yet tender texture of the haddock fillet. You can taste the mildly sweet flavor of the haddock when you add pecans, lime juice and mangoes from the mango salad. This recipe is great by itself or with your favorite side. Our Aprons team recommends white rice, but we have plenty of options to choose from. 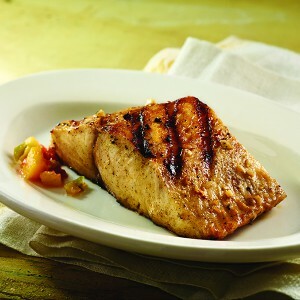 Sometimes combining just a few simple ingredients can make a delicious recipe, like our Marinated and Grilled Cobia. All you need is olive oil, lemon juice, dry mustard, salt, pepper and a finely chopped garlic clove. Combining these ingredients with the mild taste of the cobia will have you wishing you made enough for seconds. This dish can also be served with a mango salsa for some added flavor. For those of you who enjoy your fish with a little kick, we have the perfect recipe for you. This Baked Spicy Coconut Cod recipe has a tropical flavor that will have you reaching for water and another bite. If you are a “fin” of creamed spinach, you should check out our Creamed Spinach Sole. 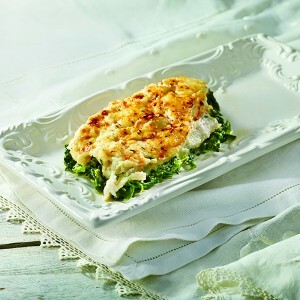 The mild flavor and firm texture of sole atop creamy spinach help to create a scrumptious dish that you’ll wish you had tried sooner. 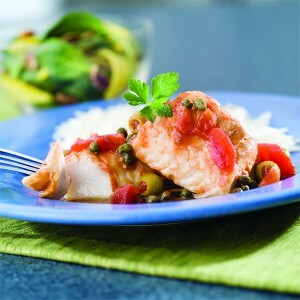 Do you have a new fish recipe you would like to try this upcoming year? Share it with us in the comments below.